Dear Readers – I don’t normally use my blog to make fundraising appeals, but in this case, I believe the recipient is very deserving and could really use some help to kick her education off right. If you want to help, you can contribute to her gofundme account here. I’ve also put the link at the bottom of her story. If you do nothing else, read her story – she is an amazing person. 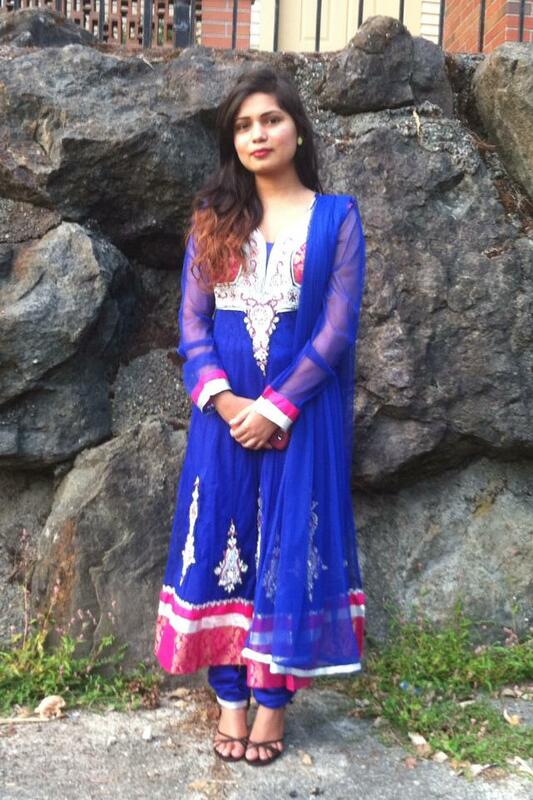 Puja Niroula is a young lady I met through the Danna K Johnston Foundation’s program at Rainier Beach High School. The program is called Successful Youth. I started mentoring Puja when she was going into her sophomore year at Rainier Beach 3 years ago. Her family came from Nepal, from a refugee camp, when she was 12. She has done amazing things already, and I’m confident she’ll do more amazing things with her future, but right now she has a significant gap between her financial aid package and her first-year school expenses. Her parents are very supportive of her ambition, but they are elderly and have health problems from their time in the refugee camp that make it impossible for them to work. My name is Puja Niroula. I am 19 years old and I have a dream to continue my education and become a nurse or public health worker. I have worked hard to create this opportunity for myself. I have been admitted to Western Washington University, and I have been given some financial aid, but I need a little more so I don’t burden my family with debt. I came here from Nepal when I was 12 years old, but my story starts before I was born. More than 25 years ago my parents were evicted from their native Bhutan because of their ethnicity. They were given the choice to leave or be killed. They moved to Goldhap refugee camp in Nepal. I was born there in 1995. The first 12 years of my life were very difficult. Then, in March of 2008, when I was 12 years old, the camp burned to the ground. My family lost everything, but we were grateful that we were all still alive. Others were not so lucky. Many were terribly injured and some died. I did what I could to help. I pulled people out of burning houses. I helped organize a group to take the injured to a distant hospital. At the hospital, I helped to distribute medicine and water to the patients. We had to live in the jungle for 6 months after the fire. It was a very rough time. Food and clothing were in short supply. But, we were lucky, because in the fall of 2008 we got to come to America. Life in America was not always easy, but I was determined to get my education. I focused on school and improved my English on my own. The hard life I led in Nepal made me strong and gave me confidence to achieve anything. I learned English and completed high school with a 3.8 gpa. Now I’m ready for the next stage of my life – college, then a career. I remember how much it meant to me to be able to help others after the fire, and it made me want to have a career in healthcare. I want to make a contribution to society, and I want to be able to take care of my parents, because they have worked so hard, for so many years, to take care of me. I will be grateful for any help I receive, and I promise I will make good on my commitment to complete my education.